Gigantic ‘Gladiator’ is the hands-down champion in the arena of ‘Roma’ tomatoes. With an unbeatable armor of vigor, flavor, aroma and yield, it bears a bounty of oval 8 oz. fruit on the patio or in a small garden. Its dense flesh and tangy taste make ‘Gladiator’ victorious for imparting rich, robust flavor to paste, sauces, soups, salsa, or ketchup. Strong roots conquer enemies such as blossom end rot. Indeterminate. Tomato, Gladiator Hybrid is rated 3.6 out of 5 by 56. Rated 5 out of 5 by Clefeefe from Love this tomato! Finally— No blossom end rot to speak of. Wonderful to grow in containers (with support). Great yields and excellent taste in sauce. This is a winner! Rated 5 out of 5 by Tony 264 from Amazing tomato First year with this, and all the seeds germinated. Did 2 seeds per cell, cut one off when transplanted to 3 inch cow manure pots. Gave the discarded cut offs to a friend in some water. He planted them directly into his garden, and they all grew. I did the final plant into Earthboxes because too many gophers in garden. All 6 of these grew very well. Very large beautiful fruit. Am testing to see how they taste best depending on harvesting color and feel. Seems the more red they are the better and juicier the tomato is. Have used San Marzano for sauce in past, and this year, but will see how the sauce compares with these when sauced. In addition to reg non organic granular fertilizer, I use Spray and Grow foliar fertilizer sprays, and had to use BT. for septoria once it showed up. Rated 2 out of 5 by Gordie G from Splitting issue I know the weather is probably a factor. We went from no rain for over a month to a week with several downpours. The yield was fine, but all of the biggest tomatoes split so bad, they could not be used. Out of my seven plants, I discarded at least 20 of the biggest tomatoes. I have planted Big Mama since it came out. I will stick with Big Mama. They did not have a similar splitting issue and are always extremely productive. Rated 5 out of 5 by Charlie D from Amazingly Productive Variety Gladiator is definitely the most productive sauce tomato I've grown. 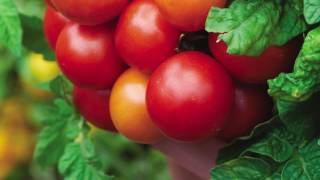 The tomatoes are large, abundant and durable. I could leave ripe Gladiators on the vine for weeks without worrying about them going bad, unlike many softer varieties. The flavor is moderate and sweet, and fleshy instead of juicy, which makes for good sauce. I will consider Gladiator to be my main sauce tomato until something better comes along. 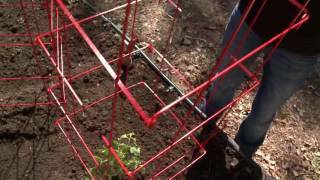 Rated 4 out of 5 by tpand from First year excellent Tried these first time last year and all of my tomato plants needed fences for cages. This was one of my favorites for yield and holding. Will grow again. Rated 5 out of 5 by lefty9 from Huge! I live in Zone 4 and started these inside in the spring. I bought a pkt of 25 seeds and all of them germinated. I do Straw bale gardening and the Gladiator loved the environment! Very prolific, meaty and huge tomatoes. Rated 4 out of 5 by Lady Caprine from large an meaty Very large, needs some xtra staking. Excellent color an flavor, will grow them again this year here in Maryland Highlands.